The liquid outer capsule contains only premium grade CLA and is utilised for immediate release or ‘first phase absorption’. Comprising only of highly bio-available 80% triglyceride form Conjugated linoleic acid, facilitating a faster delivery vs. other standard formulations. The encapsulated inner capsule contains a cutting-edge thermogenic formula, all without the need of unwanted stimulants. 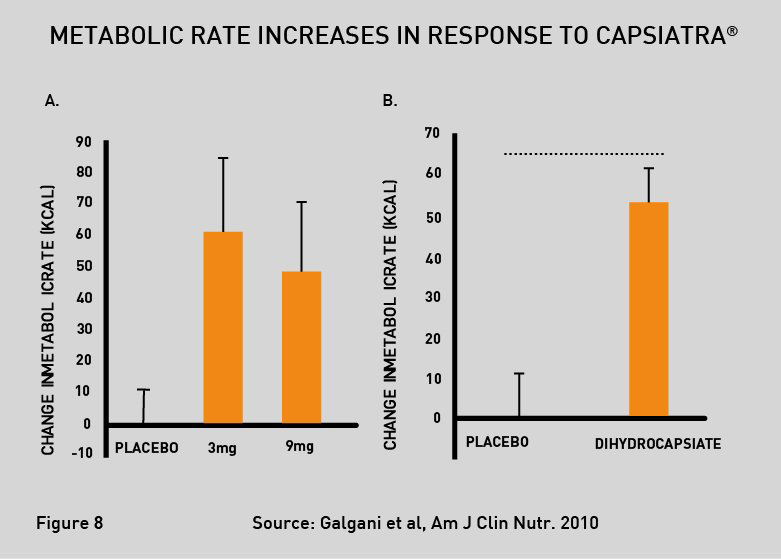 CapsiAtra®CH-19 Sweet (3% Dihydrocapsiate), a rock star when it comes to weight management ingredients. Yazawa S, Suetome N, Okamoto K, Namiki T. Content of capsaicinoids and capsaicinoid-like substances in fruit of pepper (Capsicum annuum L.) hybrids made with ‘‘CH-19 Sweet’’ as a parent. J Jpn Soc Hort Sci 1989;58:601–7. Kawabata F, Inoue N, Yazawa S, Kawada T, Inoue K, Fushiki T. Effects of CH-19 sweet, a non-pungent cultivar of red pepper, in decreasing the body weight and suppressing body fat accumulation by sympathetic nerve activation in humans. Biosci Biotechnol Biochem 2006;70: 2824–35. Konjugeret linolsyre 80% triglyceridkæder form, Acetyl L-carnitin HCL, Licaps® Gelatine Kapsel (Ren fiskeoprindelse), Emulgator: hydroxypropyl-metylcellulose, PhytofareTM grøn teekstrakt (Camellia sinensis - Catechin kompleks), CapsiAtra® (3% Dihydrocapsiat) Antiklumpningsmiddel: siliciumdioxid; Farver: (Titandioxid, Gul jernoxid, Sort jernoxid). Kapsler certificeret Halal og Kosher.